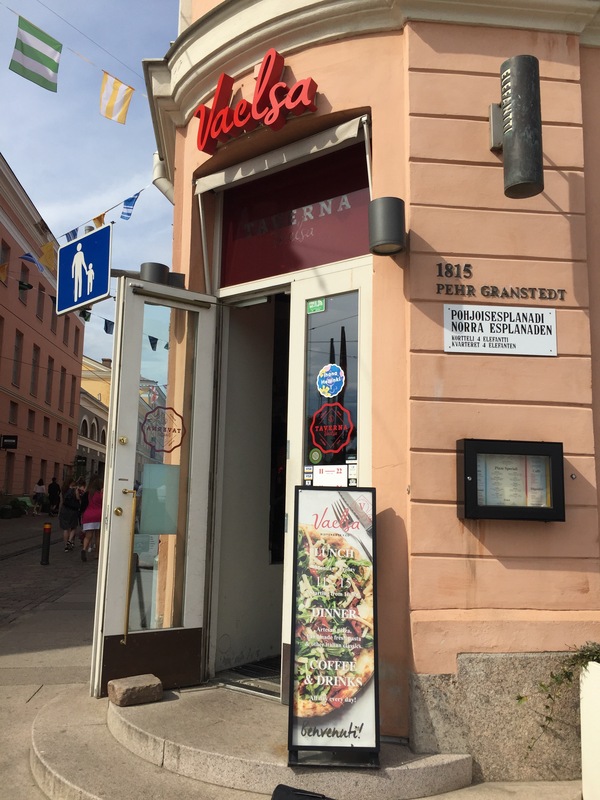 Ristorante e Taverna Vaelsa opened spring 2015 at the Market Square, at Pohjoisesplanadi 9 in the historic Govinius building. At the 2nd floor there is restaurant serving with wider menu and downstairs is taverna, which serves pizzas and some salads. Vaelsan’s kitchen combines local food and classic Italian cuisine with a modern touch. 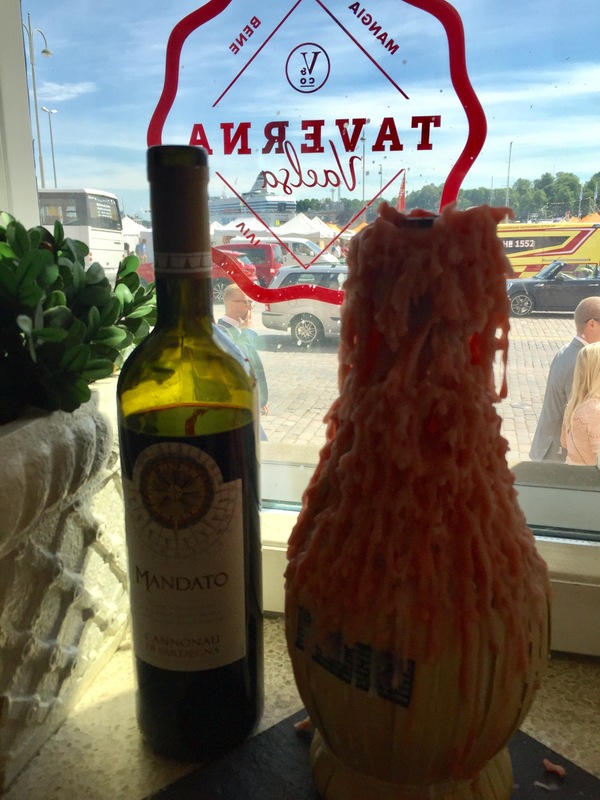 Visited taverna at late lunch time on Saturday and tried pizzas. Ordered them from the menu under Pizze Speciali headline. Chose Bresaola Mozzarella, Rucola, Bresaola, Parmigiano, Lemon Vinaigrette and Vegana Zucchini, Paprika, Eggplant, Parsley, Vegan Cheese. Pizza Bresaola was delicious, but quite dry as there was not tomato sauce. Pizza base was quite thick and had to cut quite hard pieces. 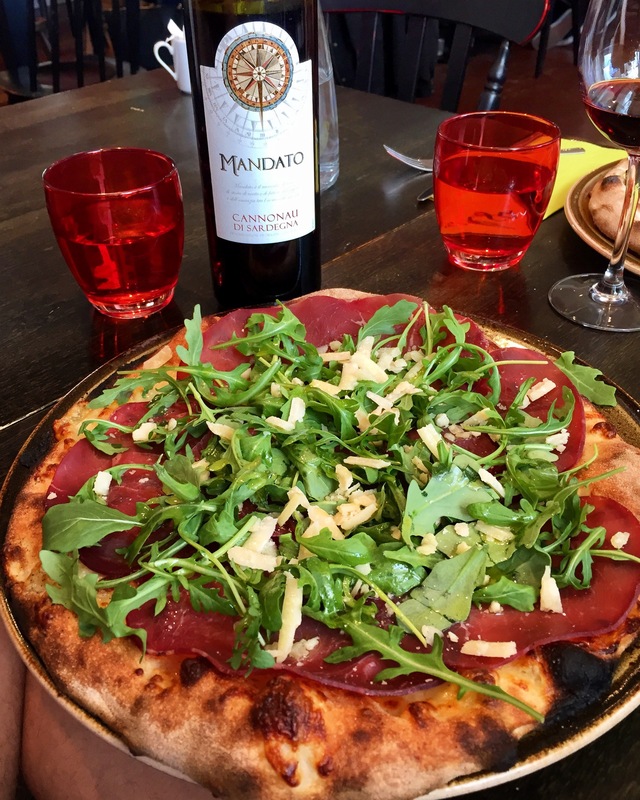 There was enough fresh rucola, which is not always the case when pizza includes rocket salad. 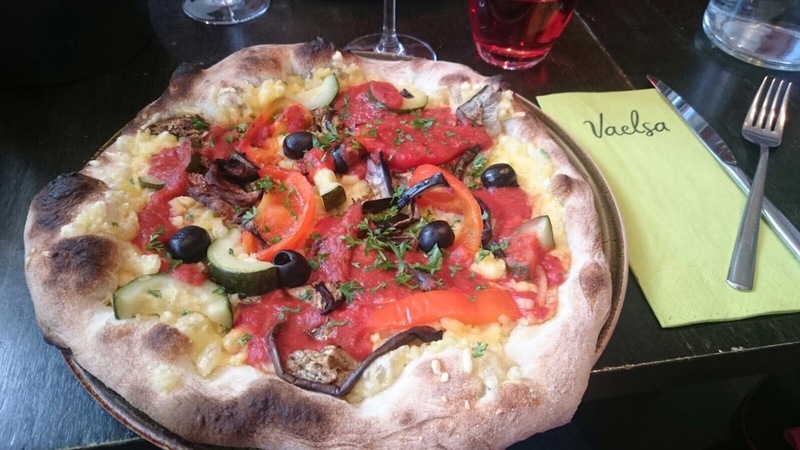 Pizza Vegana was also tasty and it was pleaseant surprise to see that taverna served also vegan version including cheese. That definately increases points. Wines were a little bit problematic, only 3 red wines available and 2 out of them had run out and replaced with other brands. Of course pizzas do not necessarily require full-bodied wines but for instance the one we enoyed was quite light. Location is excellent, just opposite to Market Square. And if you get window table like us, it is nice to watch the crowds outside. Service was a little bit limping, maybe due to busy lunch hour, which was ending. If you want to visit ristorante, better make table reservation, to taverna you can just walk in and check if there are free tables.